As a child of the late 90s and early 2000s, I have an affinity for the One Piece franchise, and as a teenager of the mid to late 2000s, I am very aware of Dynasty Warriors. Neither are properties I particularly love, but I’ve dabbled enough in both to say I at least enjoy them. Unfortunately, when you bring them together in a crossover series, it doesn’t quite work. 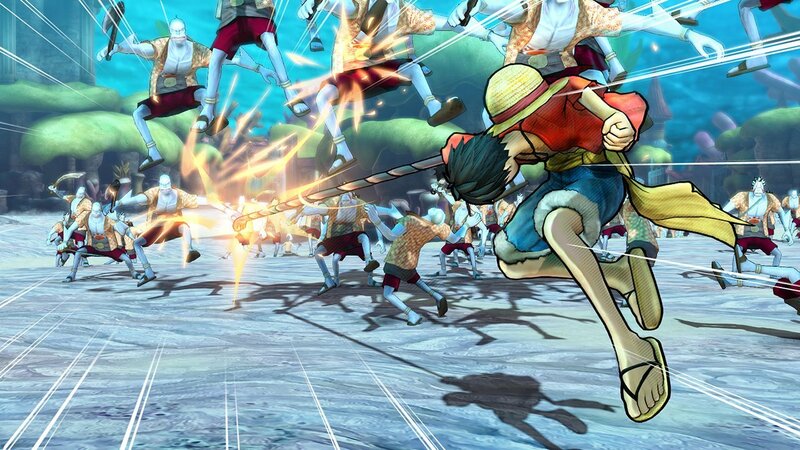 By stripping away all the interesting pieces of Koei Tecmo’s biggest franchise and focusing way too heavily on the a story that’s been told far too many times in videogames, One Piece: Pirate Warriors 3 is a time–waster with very little to offer aside from senseless button mashing. It’s really disheartening to play another sub–par One Piece game. The premise should translate easily—it’s a show about pirates featuring a main character with stretchy limbs! But the Dynasty Warriors gameplay only compliments the cast’s fighting style, while leaving out the feeling of exploration and wonder that One Piece is known for. Players press square through hordes of enemies, occasionally pressing triangle to keep things fresh and interesting. Despite its repetition, each attack managed to feel satisfying as I fought my way through thousands of unnamed enemies who went to the Empire’s Shooting Academy. Their accuracy is actually laughable. At one point, I did not move while an enemy tried to attack. He missed every shot and didn’t make a dent in my health bar. There is never a sense of danger unless you’re in a boss battle; even when you’re surrounded, you’ll hardly take any damage. Enemies should be part of the story.Even if they’re insignificant, they serve a purpose; they’re meant to hurt you, not work as fodder to make it a little more time consuming to get to point B. If that’s all they are, then there’s a serious problem. The experience is made better with multiplayer, though. All the problems still exist, but there are a ton of playable characters, and if you’re with a friend, you tend to focus less on why the game isn’t working. But there’s more to a Dynasty Warriors game than senseless button mashing. For instance, the marriage system that’s stuck with the series for a long time changes the way the entire game plays out. It makes the game feel more fluid. Hyrule Warriors did a great job of adding a splash of Zelda–style puzzle solving to keep the game interesting throughout the entire experience. Pirate Warriors, though, doesn’t really bring anything;it just exists. Its big contribution is the ability to call on a comrade to jump in to aid you to make a super move. The concept is cool and it works well to clear an area, but it’s not a game–changer. You’re just dropped in a map, fighting hordes of enemies while trying to get to a plot point to watch a cutscene. Then, you’ll fight across the map again for a boss battle and another cutscene. I get that One Piece has over a decade and a half of material and the manga has an even longer run, so there is a lot of content to re-create, but it would be nice to actually play an original story set within the world instead of a streamlined version of Monkey D. Luffy and friends on their adventure to the Grand Line. But the cutscenes were handled interestingly by keeping comic strip–style conversations and Japanese voice work. Much like the entire game, they’re gorgeous to look at, but their frequent interruptions became more of a hassle than anything. It was just annoying, and most of all, not fun. And that’s the thing that stays with me when I think about my time playing this game. It’s just not fun. Sure, it’s beautiful, but the game is repetitive, cutscenes break its flow, and there isn’t an original concept found in the entire game. The best parts of either franchise in this crossover were stripped away and we’re left with a Frankenstein monster that only works in theory. 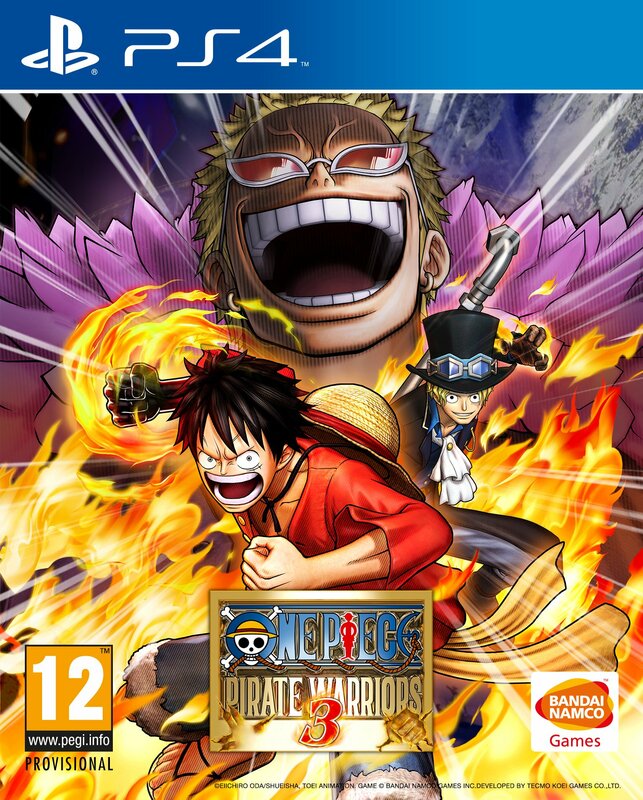 As someone who enjoys both Dynasty Warriors and One Piece, I expected a lot more from this title and it definitely disappointed. 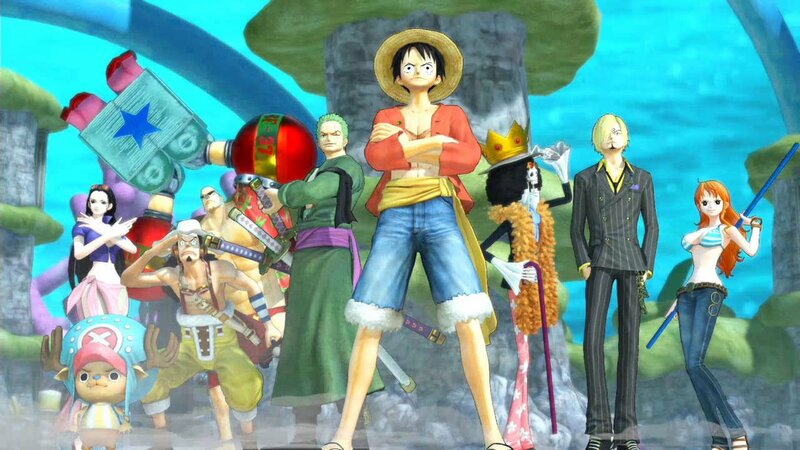 I have an affinity for the One Piece franchise, and as a teenager of the mid to late 2000s, I am very aware of Dynasty Warriors.